A New York Central design, used on the CCC & StL Railroad, a subsidiary of the New York Central Railroad. Laser-cut, scribed siding with cast white metal piers, and a flared, hip roof. Windows and doors assemble in layers with peel & stick backing. 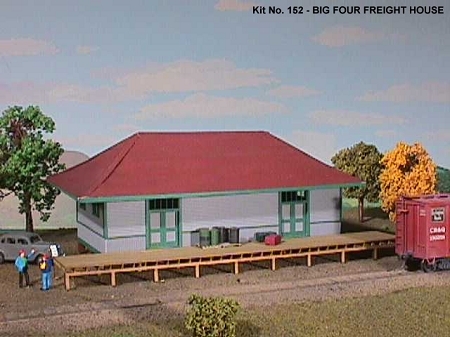 Also included is an extra-long freight dock. Structure is 7” long x 3” deep x 3.5” high. Dock is 9.25” long x 1.25” wide.